Our guest is Erika Armstrong, an experienced pilot, author, speaker, instructional design director for aircrew training, and a university aviation professor. In the news, JetSuite is the launch customer for Zunum hybrid-electric planes, a fatal electric airplane accident, onboard pet monitoring technology, airline flight 1’s, a Geico Skytyper is lost, Southwest Airline’s financial outlook, and kidnapping charges at a flight school. 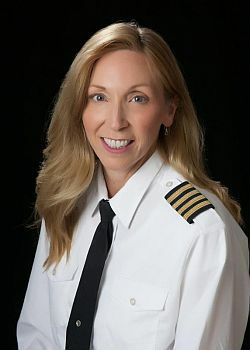 Erika Armstrong was an international corporate and airline pilot, and she’s currently the Director of Instructional Design at Advanced Aircrew Academy. She’s also an aviation professor at Metropolitan State University in Denver, specializing in aircraft systems and propulsion. We talk with Erika about what it takes to be a pilot and what it does not, the “pilot personality,” training for a flying career, and some of her experiences during her 30 years in aviation. Erika holds an ATP with 6,000 hours, primarily as captain in a Boeing 727-200 and Cessna Citation 500 series aircraft. She has international flight experience in a Gulfstream and performed the FAA proving runs for a Falcon 20 Part 135 certification. Erika flew for the Red Cross and spent 12 years in the charter and business aviation sector as a pilot, dispatcher, and maintenance/avionics coordinator. She also flew 24/7 air ambulance in the Midwest. Erika has seen many changes in aviation, but she finds that the single common thread holding all the generations together is the spirit of aviation. It’s her goal to help reignite that passion in the up and coming generations and to help change the perspective of aviation, for both men and women. Be sure to read her article Pilot Evolution: Begin at the End for some insightful advice. JetSuite is to be the launch customer for Zunum hybrid-electric planes. The private charter jet company plans to acquire up to 100 of the 6 to 12 passenger aircraft in the early 2020’s for short flights. In the Zunum aircraft, JetSuite looks to 80% lower emissions, reduced noise, a 7700-mile range, and a maximum cruise speed of 340 miles per hour. Two pilots were killed in a crash involving the Siemens-powered Magnus eFusion electric aircraft in Hungary. Initial reports from witnesses describe the plane maneuvering at low altitude, catching fire, then crashing in a near vertical dive. The Unisys Corporation Digi-Pet system lets owners monitor their pet while they are in the cargo hold of an aircraft. Sensors attached to the pet’s kennel or carry case transmit data such as temperature, oxygen levels, vibration, and light. Pet owners are alerted if any problems arise. The system offers live video streaming, photos and voice exchange via a smartphone or tablet app. Airlines sometimes designate “Flight 1” for a special purpose. This list and infographic collects presents all the airline Flight 1s. Sadly, Executive Officer/Wing Pilot Ken Johansen, age 52, died when his GEICO Skytypers plane went down shortly after takeoff from Republic Airport in Farmingdale, New York. There were no injuries on the ground. David has flown with the Skytypers several times and reported his experiences on this podcast. Bookings at Southwest Airlines have declined after the fatal engine failure in April. The airline expects second quarter revenue per seat mile to drop 3 percent and additionally, Southwest is lowering growth plans for 2018 due to increased fuel prices. The IASCO Flight Training general manager and his assistant have been arrested on suspicion of kidnapping. They are charged with kidnapping one of their students, allegedly to take the student on a plane and send him to China. A defence attorney says the two were only taking the student to the airport because he flunked his classes and his visa had expired. Via @nt_planespotter, we see Hailey’s #Journeyto30 takes off. Hailey Dawson is an 8-year-old with Poland syndrome. She was born missing three fingers on her right hand and she wears a prosthetic hand made with a 3D printer. The youngster wants to throw out the first pitch at every Major League Baseball park. All 30 MLB teams invited her to be their guest of honor, and United Airlines offered to fly her to each of her stadium visits. Follow #Journeyto30 on Twitter for the latest news and photos. David comments on the new book by Tim Trott, Out of the Blue: The Life and Legend of Kirby ‘Sky King’ Grant. In the book, Tim answers the questions: Do you remember the Sky King TV show? Do you know who flew the plane in the shows? Was Kirby Grant a “real” pilot? How many different “Songbird” planes were there? What happened to the “missing episodes”? What did Kirby Grant do after the TV series ended? Did you know that Kirby Grant was a singer? 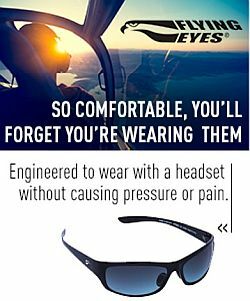 This entry was posted in Episodes and tagged JetSuite, Magnus, Skytypers, Southwest, Unisys, Zunum Aero on June 6, 2018 by maxflight. We talk about commercial aviation with the editor-in-chief and founder of Airline Reporter. Also, the violent removal of a passenger from a flight, the new Boeing venture-capital group, the 50th anniversary of the Boeing 737 first flight, more seats for the A380, and a lawsuit to stop the Planes of Fame Air Show. Plus, reports from Sun ‘n Fun 2017, memorable flights, and a new aviation podcast. David Parker Brown is editor-in-chief and founder of Airline Reporter. 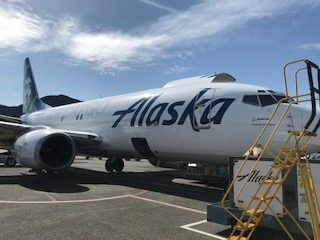 With a team of over 30 writers located in 18 different cities, AirlineReporter.com is a goto resource for aviation, travel, and airline industry content. This is quality material by passionate AvGeeks. As for David, he has written, consulted, and presented on many airline and travel topics since 2008. 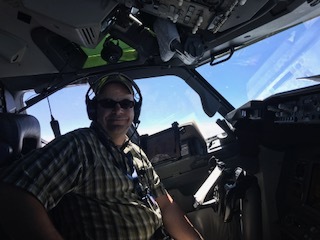 He caught the aviation bug at an early age, and has been blogging since 1999. United Express flight 3411 operated by Republic Airways and departing O’Hare International Airport was overbooked. But four Republic crew members needed to get onboard so they could deadhead to work. One passenger refused to give up his seat and was violently removed by an aviation security officer. Boeing has recently formed a division called HorizonX as a small venture-capital group to invest in companies with interesting technologies. 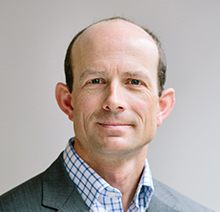 HorizonX is led by Steve Nordlund, formerly the head of drone company InSitu, which was acquired by Boeing in 2008. As examples of technology areas that HorizonX might invest in, Nordlund pointed to autonomous vehicles, artificial intelligence, machine learning, and additive manufacturing. Initial investments were with Upskill, an augmented reality company, and Zunum Aero that is developing small hybrid-electric aircraft. The Boeing 737 first flight took place 50 years ago, in April 1967, and entered airline service in February 1968 at Lufthansa. See the Boeing 737 Technical Site for history and data. Airbus is offering customers some A380 configuration changes that result in additional seats. These include removing an upper-deck stowage area, moving the main staircase, 11-abreast on the main deck, 9-abreast in premium-economy, a rear spiral staircase, and moving the pilot rest area. A group of Chino Airport tenants are suing the Planes of Fame Air Museum (another tenant) to halt this year’s Planes of Fame Air Show May 6-7. Chino Airport is a county-owned airport in San Bernardino County, California. The plaintiffs allege the air show negatively impacts their business. The tenants bringing suit want the County of San Bernardino to appoint a coalition of tenants to oversee future air shows at the Chino Airport. Find a petition at: Don’t Let them Stop Your Air Show! Airplane Geeks Reporter-at-large Launchpad Marzari reports from Sun ‘n Fun International Fly-In Expo, held April 4 – 9, 2017. He talks with John and Martha King from King Schools, and Michelle McGuire from Mutt Muffs which provides hearing protection for dogs. Listener Mike Smith tells us about two of his most memorable flights. Watch Airventure Oshkosh 2015 Trip and Airventure 2016 in my Sonex. Wings over Pittsburgh, May 13-14, 2017. Northeastern Pennsylvania Air Show Aug 12-13, 2017 at Wilkes-Barre/Scranton International Airport. AOPA Hangar Talk 18 with Max Trescott. Aviation News Talk is Max Trescott’s new general aviation podcast. Utah Patrick sent in two articles that provide more details about Thomas Hudner and Jesse Brown: U.S. veteran in North Korea to find remains of fellow aviator and Six Decades Later, a Second Rescue Attempt. Plan Your Trip for EAA AirVenture Oshkosh. A pilot’s view of the world – Amazing photographs from the cockpit. This entry was posted in Episodes and tagged A380, air show, airline, B737, Boeing, Sun n Fun, United Airlines, Zunum Aero on April 12, 2017 by maxflight.